The clean-up continues after a record breaking snowfall blanketed the capital. Ottawa received 21.8 cm of snow on Sunday, breaking the record for greatest snowfall on January 20. The previous record was 16.3 cm, set back in 1965. Environment Canada says Ottawa received 27 cm of snow Saturday and Sunday. A total of 30-35 cm of snow fell on Cornwall, while Kemptville received 22 cm. The City of Ottawa deployed its fleet of snowplows to clear the roads in time for the Monday morning commute. 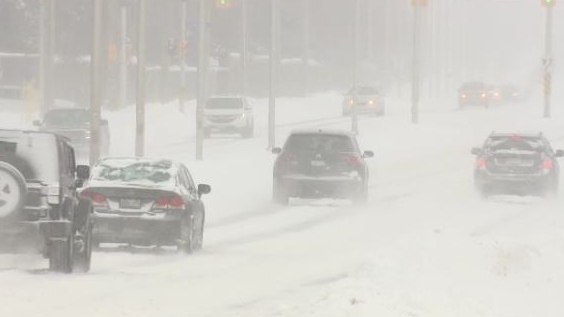 Area manager of core roads Bryden Denyes tells CTV Ottawa the biggest challenge has been the blowing snow, noting crews had to repeatedly go back and clear roads and sidewalks on Sunday. Denyes says the roads should be fine for the morning commute.